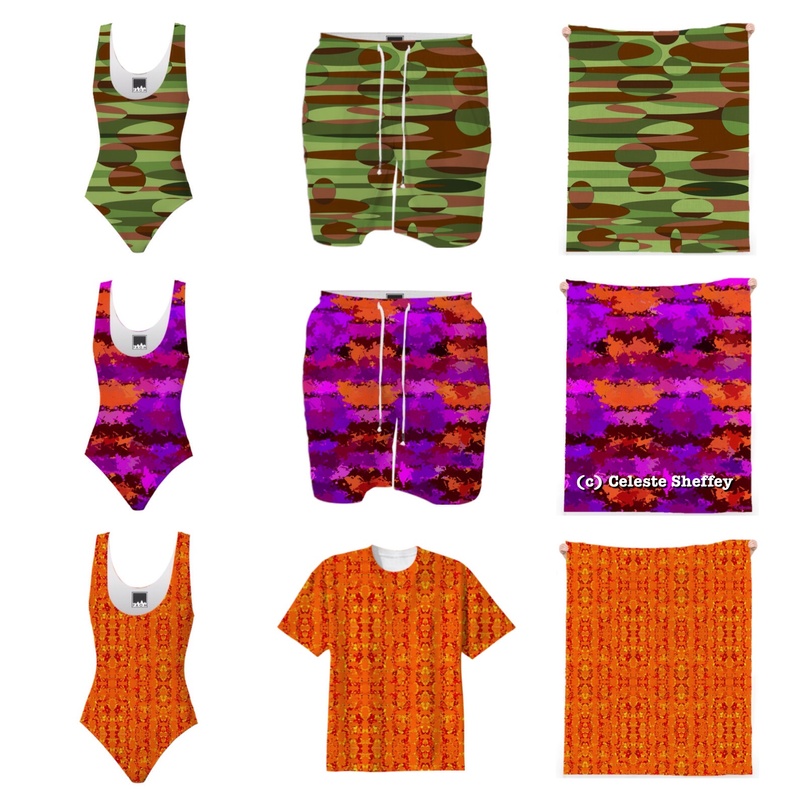 wearing conversational graphic art matching his and her swimwear complete with beach towel! Products take 2-4 weeks for delivery. Let’s set-up an early collaboration with using your favorite colors and designs for your upcoming vacation plans by completing this short design form.